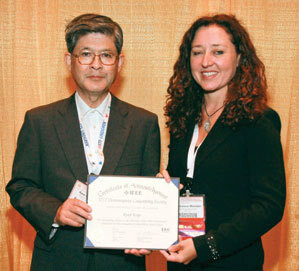 for outstanding service as the Chairman of the 2009 International Symposium on EMC held in Kyoto, Japan. The Nanjing Chapter received the “Most Improved Chapter” award. 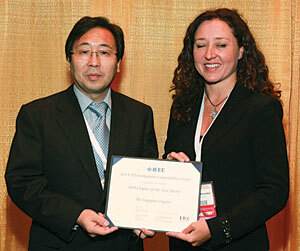 Riana Gerschke was honoured for her efforts in founding the IEEE EMC joint Chapter in South Africa. EMC Chapter as chair of the working group on biological effects. 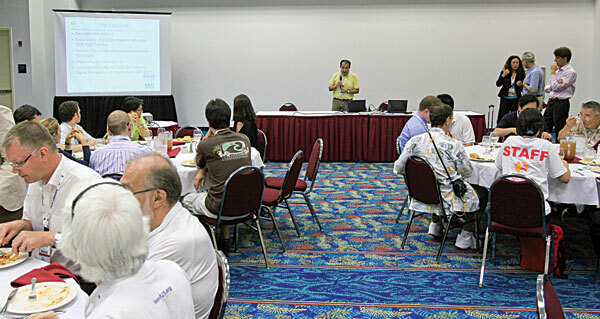 Chapter Chairs and representatives from many of the EMC Chapters worldwide convened in Fort Lauderdale for the annual Chapter Chair Luncheon organized by the EMC Society Membership Services team of Bob Davis, Vice-President for Member Services, and Sergio Pignari, EMC Chapters Coordinator. prepare for their welcome presentations. 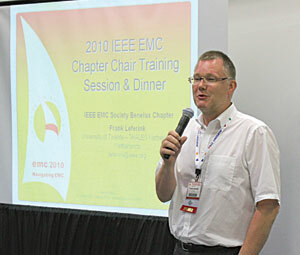 Frank Leferink gave a presentation on the activities of the BeNeLux (Belguim, Netherlands and Luxembourg) EMC Chapter. Chapters are encouraged to share “best practices” at the annual luncheon to inspire other Chapters in their future planning efforts.